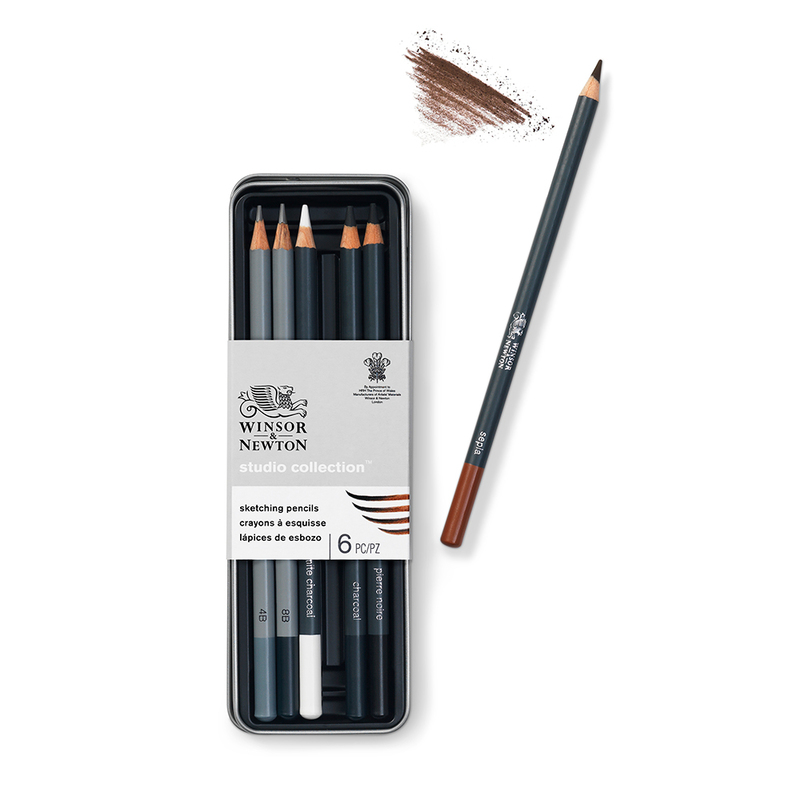 This Winsor & Newton Studio Collection Sketching Pencil Set of 6 provides artists with a collection of sketching tools to help create expressive sketches an linework. In this beautifully presented set there is a range of traditional drawing and sketching materials. 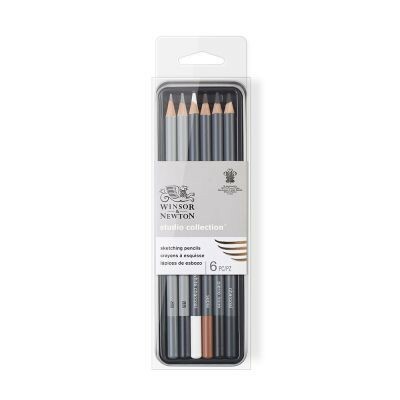 All the pencils are of the highest quality and feature classic sepia and charcoal tones as well as conventional graphite. They offer the ideal range of tools for creating expressive sketches, whether you’re working on the go or in your studio. 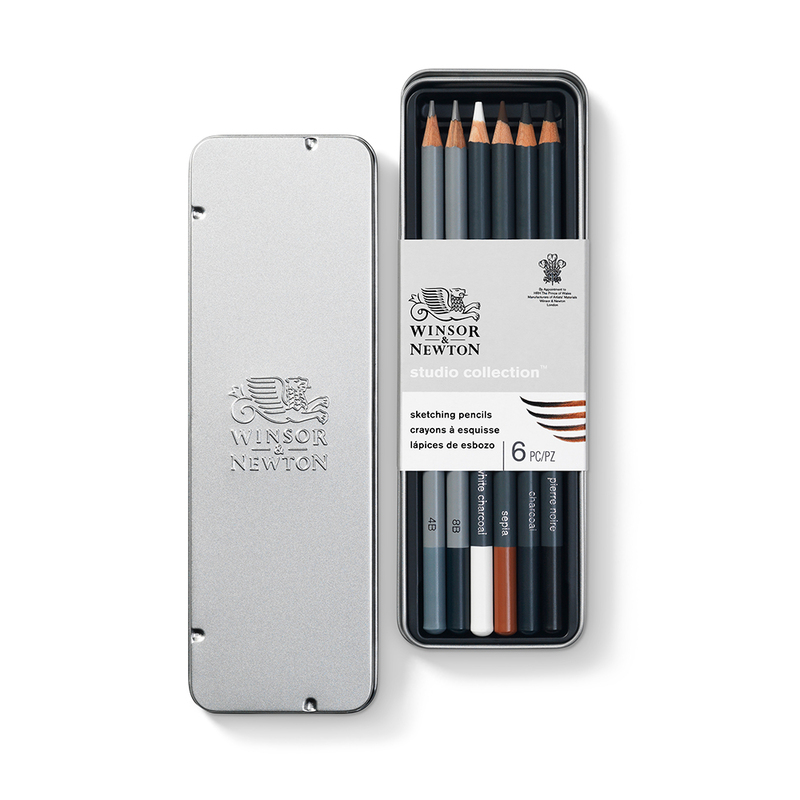 These pencil sets are beautifully finished and presented in a stylish metal tin embossed with Winsor & Newton’s iconic griffin logo. 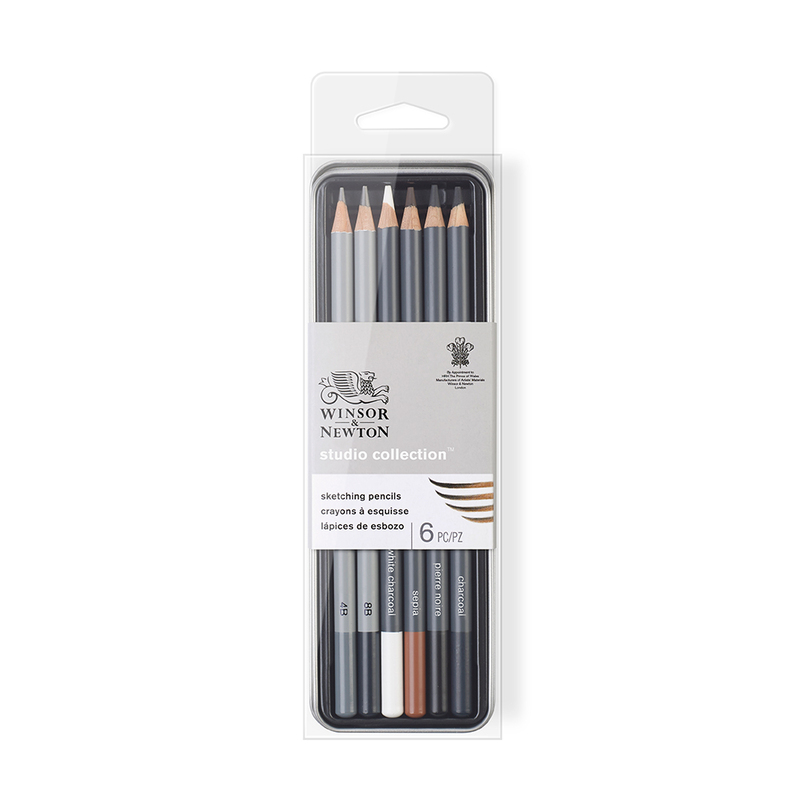 This set contains a set of 6 pencils, one of each of the following: 4B Graphite Pencil, 8B Graphite Pencil, White Charcoal Pencil, Sepia Pencil, Pierre Noir Pencil and a Charcoal Pencil.